Oh my goodness, has it been this long since the first two of our trilogy? I had planned to write about how I was harassed by a misinformed U.S. Postal Inspector while taking the photo you'll see below (an Inspector who utilized the words "domestic terrorism" and attempted to get the U.S. Marshals to confiscate my camera; fortunately the latter knew better than to oblige)... and then describe the federal lawsuits that have resolved that it's perfectly acceptable to photograph anything visible from a public street, sidewalk, or plaza. But we're better than that. So, onward. 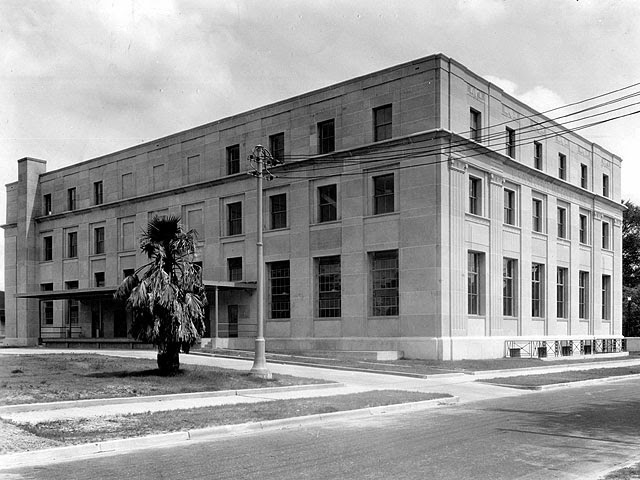 In the map, the 1930s old post office is located at the north side of Florida Street; the 1966 facility you see below, on the south side. Here is a photo of the exact same building taken by a Google Street View car the same month. That driver's afternoon was probably less eventful. There's not too much else to say about the 1966 post office building. It has a large carrier station in the back. The old building (now-just U.S. Courthouse) across the street is much more architecturally interesting. That's partly because I like the architectural flair of the 1930s. 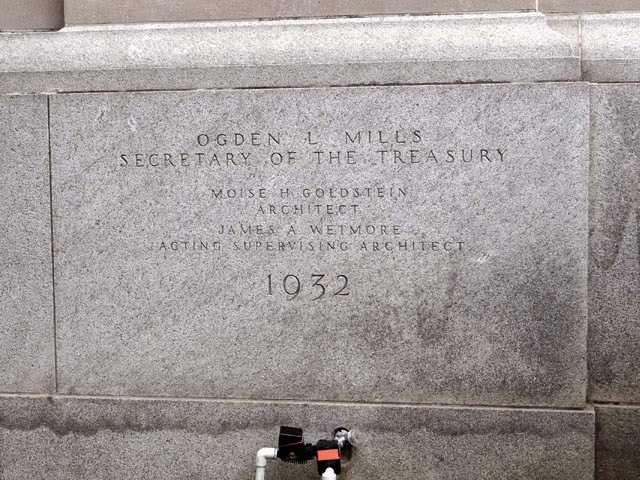 The General Services Administration (GSA), which manages the building, describes the nuances of the architecture as well as the building's historical significance. But first, here are a couple of images. The first two are mine from this past April. The next three are from the National Archives collection in College Park, Maryland. 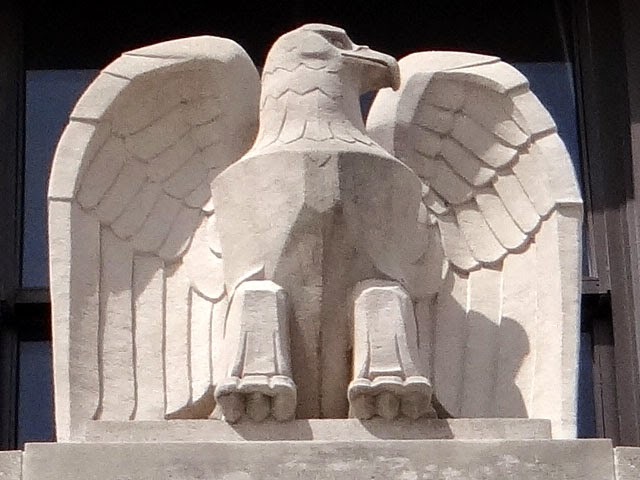 The cornerstone demonstrates that construction of the building began in 1932, during the administration of Herbert Hoover. The building was completed the following year, once FDR had taken office. 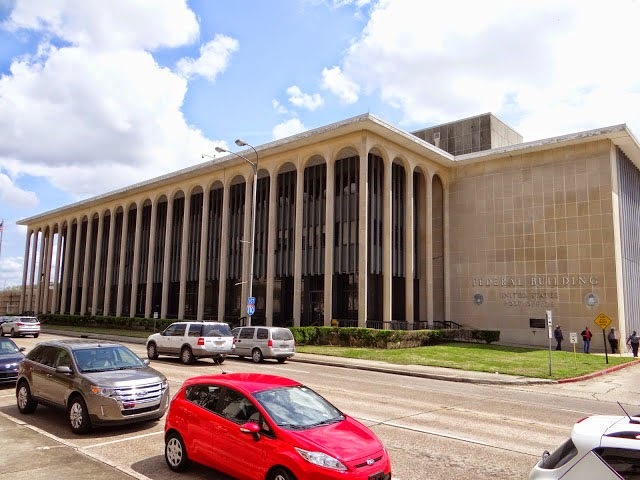 The Neoclassical building was designed by architect Moise Goldstein and built by the firm of Algernon Blair, contractor, whose company was responsible for the construction of at least 20 post office/federal buildings in Louisiana during this era. The building sits on a granite base though is clad in limestone. 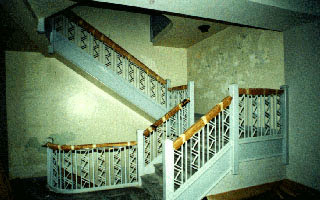 The total floor area is 57,000 square feet and the building underwent a substantial renovation in 1995. The building's site has been owned by some governmentinitially state, then municipal, and finally federalfor nearly 200 years, serving as a state penitentiary, a park, and even a community center. "The passage of the Public Buildings Act of 1926 precipitated a period of building construction that was unprecedented in the United States. The Public Buildings Act specified that the office of the Supervising Architect of the Department of the Treasury would be responsible for the design and construction of all public buildings. 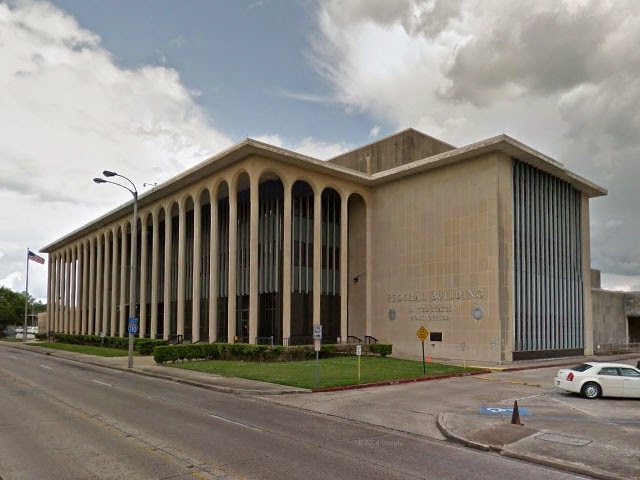 Due to the failure of over half the nation's architectural and construction firms in the Depression, many of these buildings were designed and constructed by local firms, as was the Baton Rouge building. 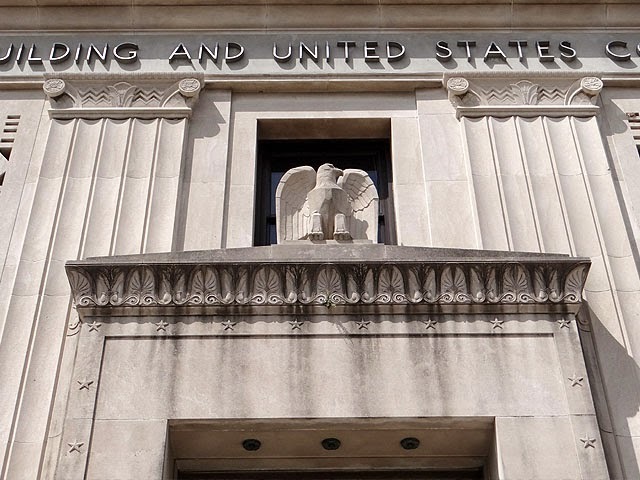 Many of the federal buildings of this period exhibit streamlined design and lavishly finished interiors featuring marble and aluminum trim, and well-appointed courtrooms. 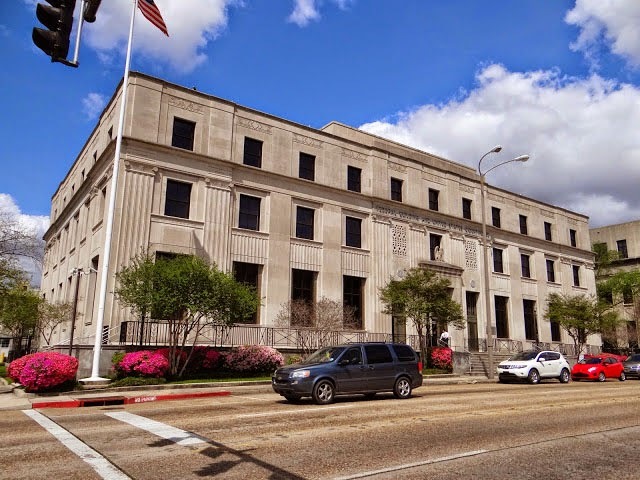 The Baton Rouge Federal Building and U.S. 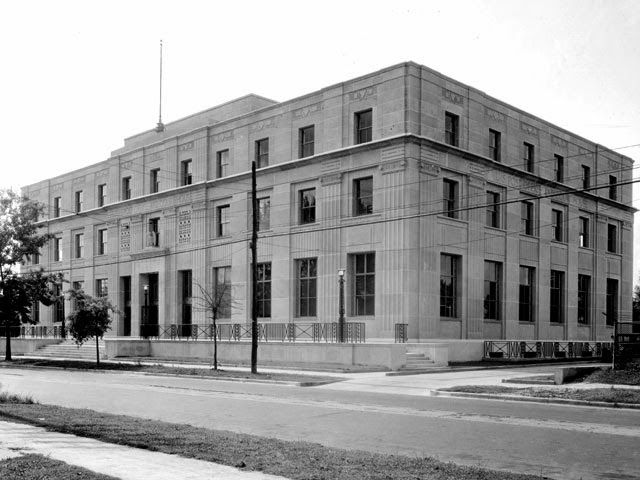 Courthouse is representative of this period of construction in the United States." 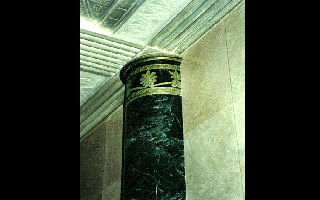 The GSA also posts a couple of low-resolution photos, taken 2003, to its website. Interior photography is prohibited within this building, so these images are the best we've got. 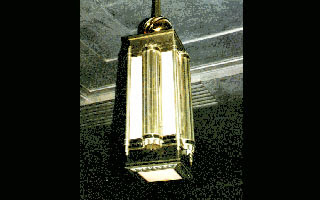 Here: the ceiling, a pillar, a staircase, and a lamp. 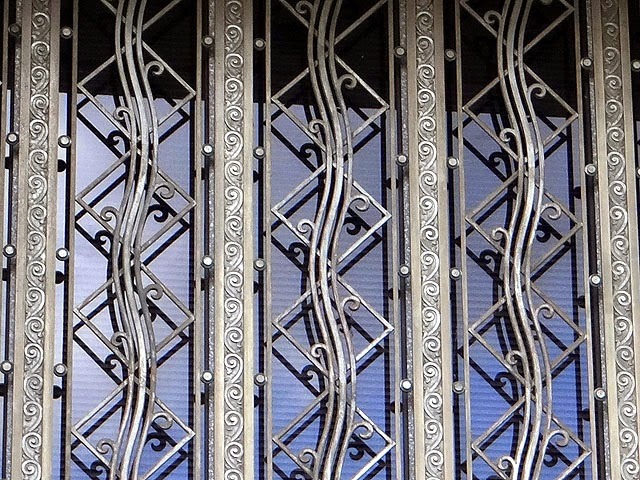 I'll leave you now with a couple of architectural detail photos that I took, once the Marshals correctly determined that, from a legal perspective, everyone should leave the architectural tourist alone! I think the pictures came out quite nicely. 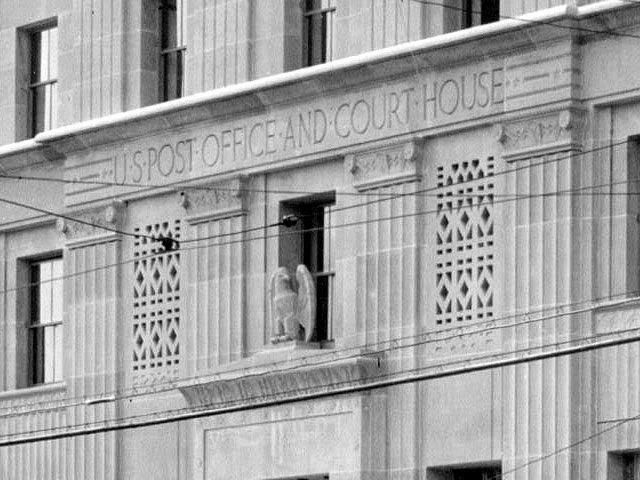 Finally, the eagle in its setting above the front door. 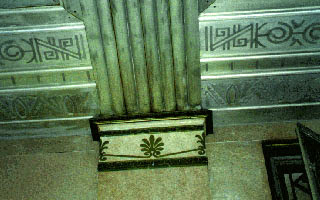 There's immaculate stone-carving work to accommodate the iron detailing as well! 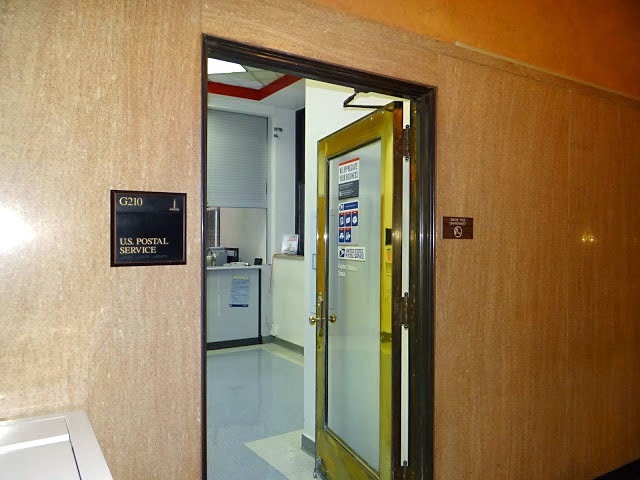 For the sake of completion, the basement of the massive Louisiana State Capitol building contains a postal station as well. What's interesting about that building is that you can get a great panoramic view of the state capital region (and of one of the largest oil refineries in this hemisphere) from the wraparound terrace of the building's 24th floor.